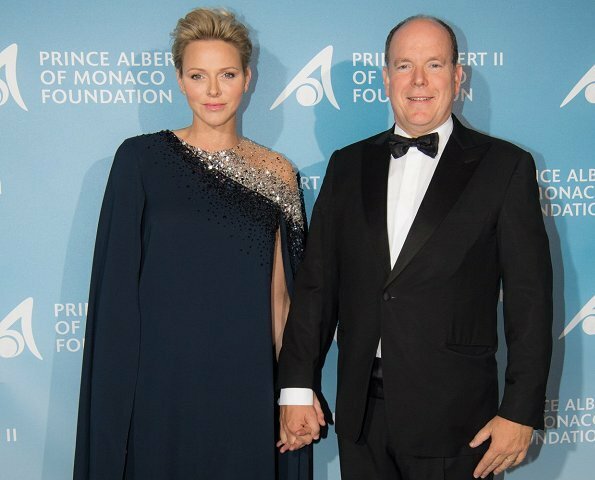 In the evening of September 26, 2018, Prince Albert II of Monaco and Princess Charlene of Monaco attended "Global Ocean 2018" Gala held at Monaco's Opera House. 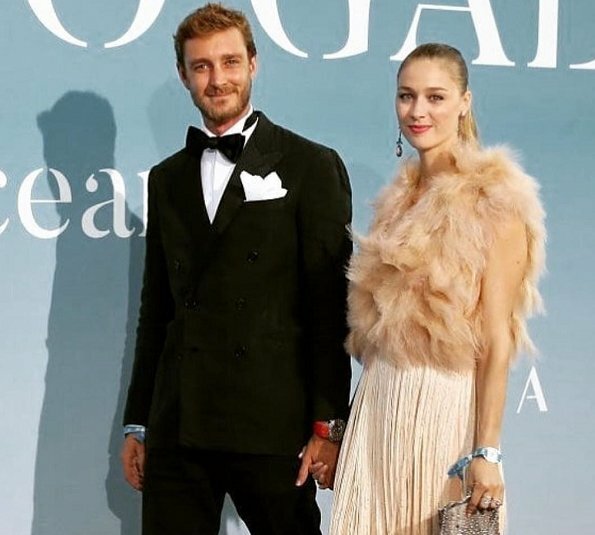 There were also Pierre Casiraghi, Beatrice Borromeo Casiraghi, Andrea Casiraghi and Tatiana Santo Domingo at the gala. 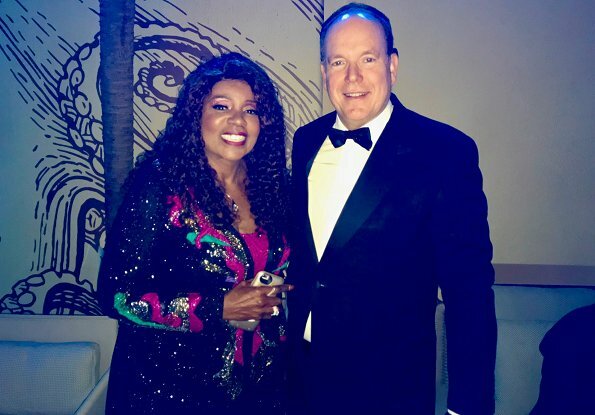 The gala is a fundraising event and held by The Prince Albert II of Monaco Foundation. 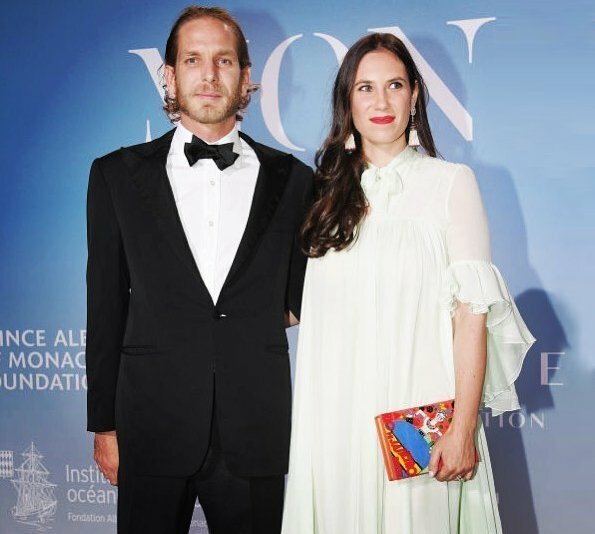 The purpose of that gala is to promote sustainable oceans for the future of the world and next generations. Charlene looks best although one off shoulder style does nothing good to her outfit. 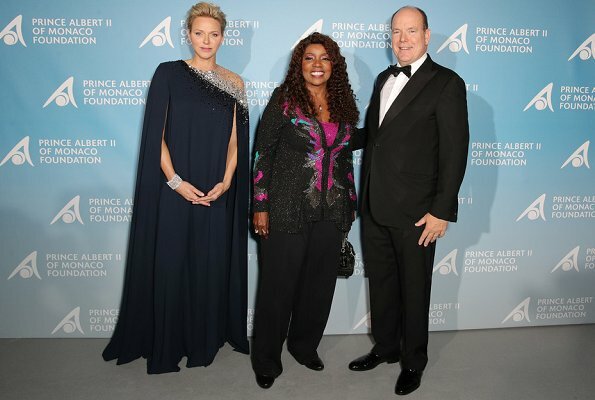 Tatiana forgot to change her nightie to evening gown, even Beautice looks odd. Magnifique Princesse Charlène! une robe splendide! Béatrice drôle le bas de sa robe mais joli et spécial!tatiana égale à elle même. Wow ! Everybody her is too elegant and stylish. Elegant stylish and beautiful,Pss Charlene looks wonderful. Beatrice dress is what a flapper from the 20's or 30's not nice at all. Sadly Tatianas dress looks like a nightgown also not good. I think Andrea is in need of a haircut. I do must say the men looked good. Just wow!! Charlene looks beautiful, that dress is perfect. She is the total winner here. Charlene's dress is lovely and she wears it well. Good to see her looking so relaxed and confident these days. I'm one of the few who likes Beatrice's outfit - it's interesting and she wears it well. Tatiana's dress has nightgown qualities to it but it's a pretty colour and it's her. Nice to see Andrea, Pierre and wives supporting this initiative. Do you find Charlene relaxed and confident? I don't think so. I think she only looks relaxed when she is with children, especially at watersports-events in her home South Africa, but never at events with her husband and his family. Yes, I do - I think she is much more relaxed and confident in herself. We actually get a few smiles these days - there are quite a few of her actually laughing with Albert and various guests. I don't think it's a warm cuddly relationship with her sisters-in-law - they were very welcoming to start with but things seems cooler now, probably because they have little in common, she barely does anything and still can't speak French. But I think she knows what she's good at and she does it well and she's found a way to live with the spotlight. There's a huge difference between now and just 2 years ago. Anonymous: C'est vrais. Et sa femme n'a pas l'air tres heureuse. Charlene is stunning! Such a beautiful dress and she wears it well. Anonymous: wow, that says it all! Charlene looks so very elegant, quite original dress with the right amount of glitter to liven up the sober color. I don't particularly care for Beatrice's dress, not horrible, but looks more like a custome than a formal outfit. I won't comment about Tatiana's because I have nothing good to say about that dress!! Charlene and Katy Perry are the winners here. All the glam! I don t like Andrea & Tatiana. Andrea always looks a bit scruffy, Tatianas smile seems to be not real and unapproachable. Beatrice is a real classic beauty, Charlene IMO use to much Botox and lip fillers. Her dress ist WOW. Dress of Tatiana is ugly, sorry also the fussy waistcoat of Beatrice, but I like her dress very much. Tatiana is on record as saying she isn't comfortable in the spotlight - she is certainly very discreet. ALBERT kan zo trots zijn op zo mooie vrouw !!!! !..